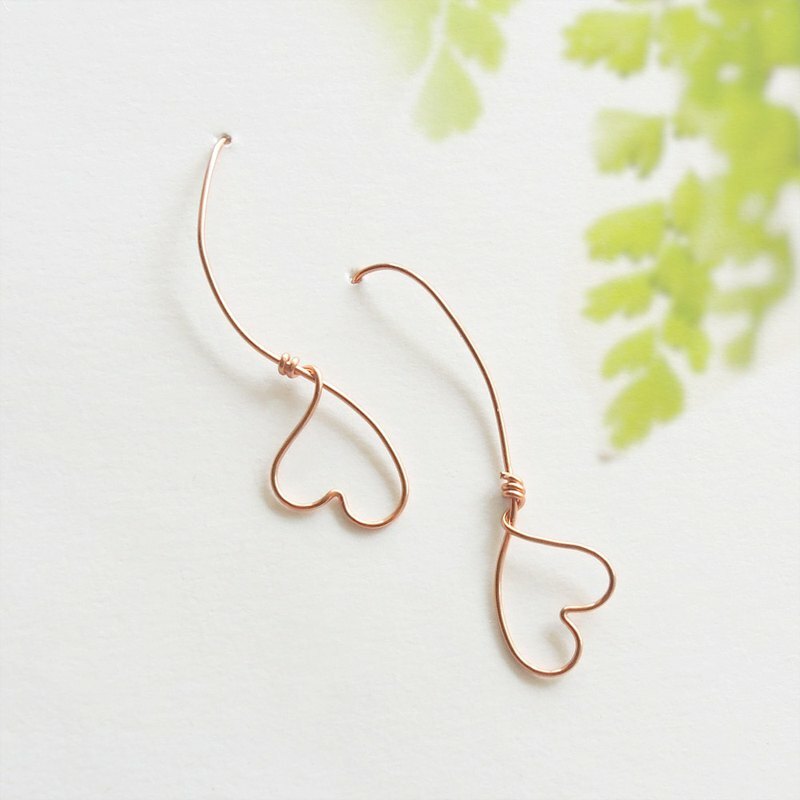 This earring uses different colors of metal wire, in the shape of an arc, hand-folded out of love hanging upside down. https://c2.staticflickr.com/2/1813/41213553890_c79e7dcae1_o.jpg https://c2.staticflickr.com/2/1805/41213550600_26ff6f19b1_b.jpg https://c2.staticflickr.com/2/1814/42973667392_8a49e33a75_b.jpg https://c2.staticflickr.com/2/1816/41213550370_0fe7bb7b74_b.jpg [material] 925 sterling silver, red copper plated rose gold, copper, brass 【specification】 Earrings: length 30 X width 10 X thickness 2 (mm, without ear hooks) 【package】 ✽ Each accessory comes with a "handy paper tray, clip chain bag, warranty card, silver polishing cloth (colors will be shipped randomly, Not a color)" Each one. ✽ In order to love the earth with you, we abandoned the rigid carton packs and the lined foam, but Use a hand-held tray. https://c2.staticflickr.com/6/5589/30826693833_fe19dfebc9_o.jpg [叮咛二三事] 每次 After each wearing, wipe it gently with silver polishing cloth and store it in a sealed bag and keep it dry. avoid collision. ✽ The silver polishing cloth contains maintenance ingredients. Do not wash with water. Use it repeatedly until it turns black and then discard. 请勿 Adjustable ring should not be overturned excessively to avoid breaking. 银 Silverware Avoid contact with cosmetics, perfumes, rain, seawater, bleach, chemical liquids, grease And other substances. ✽ Do not wear silverware in the following activities or places: bathing, swimming, hot spring areas, playing at the beach, Sports, housework, violent collisions, and chemical experiments. ✽ Product photos may produce color differences due to factors such as light or computer screen. Please pay attention before ordering. [about service] 保 Warranty period: One year warranty period from the date of purchase, and the warranty card must be sent back during repair. So please keep it safe. 保 Warranty content: Free to help you clean and maintain, repair new products. ✽ During the warranty period, normal wear of the merchandise, human error or force majeure causes damage. There is still a need to pay maintenance costs at the warranty scope. 来 You need to pay for the return shipping of the goods. Please forgive me.